Also on view at the Pizzuti Collection is a two-person exhibit showcasing New York artists Glen Baldridge and Alex Dodge. Besides sharing the same year of birth (1977) and alma mater (the Rhode Island School of Design), the two produce pieces with sometimes-striking overlaps. 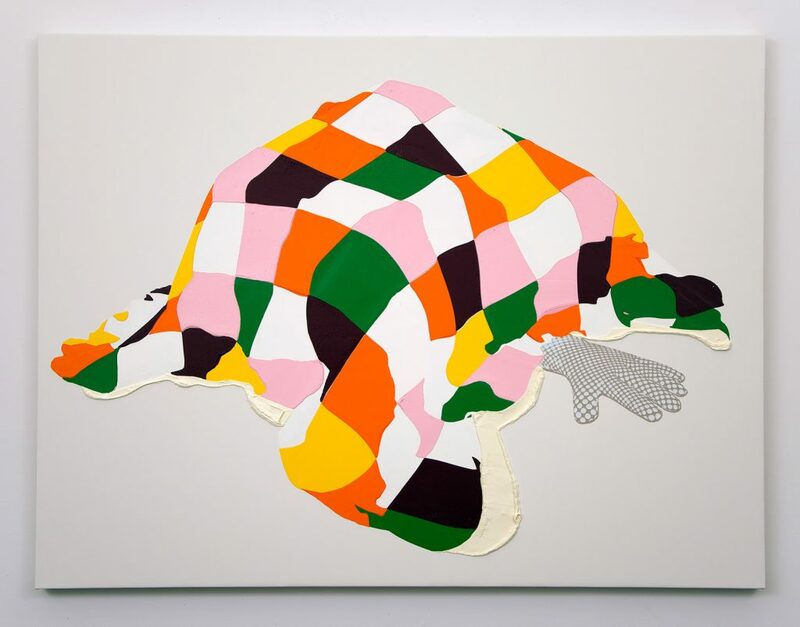 Pop culture is referenced in Dodge’s oil-and-glass-beads-on-linen work “MJ,” in which the sequin-gloved hand of pop star Michael Jackson emerges from beneath an object shrouded in a colorful quilt. Similarly, Baldridge’s woodcut “Double Dilly” features commercial imagery, positioning a pair of Dairy Queen logos beside each other like watchful eyes. Also notable are Baldridge’s screen print “Lucky Sevens,” presenting what appear to be images of advertisements for caskets; and Dodge’s oil-on-canvas “Monument,” in which a red-and-white polka-dotted sheet covers a bulging object that oozes a thick yellow mass. The trio of Stella, Baldridge and Dodge make for two of the season’s most memorable exhibits.